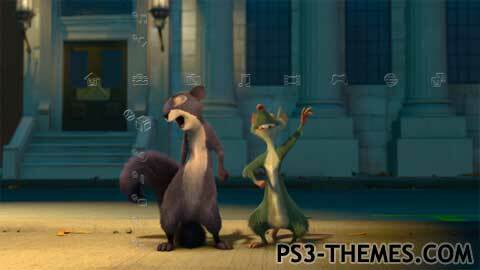 This Theme was Built from the kids animated movie (The Nut Job) and has been kid and HD tested and mother approved. It should support both. It has four sounds that are from the movie that work with the navigation of the xmb menu screen. And what kid doesn’t like dancing animals? My son loves it! Please feel free to comment or leave suggestions. Enjoy! This theme was posted by PS3 Themes on July 3, 2016 at 7:54 pm, and is filed under Dynamic Themes, Movies/TV.